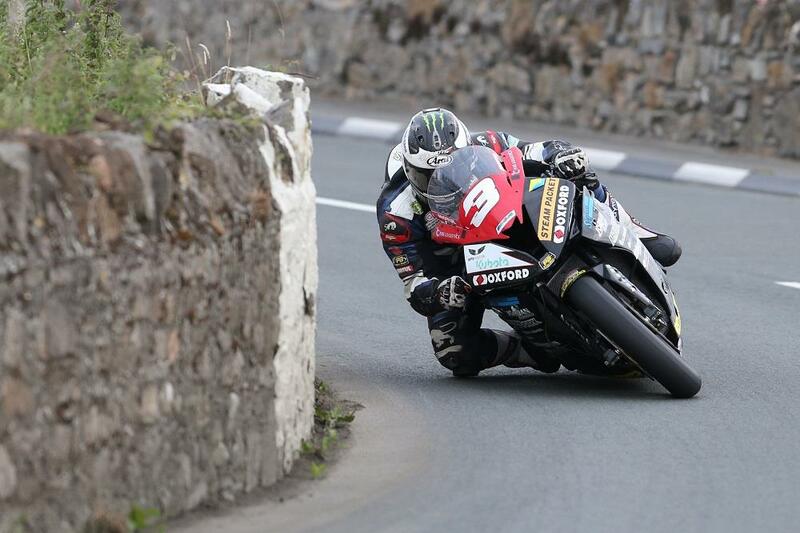 Michael Dunlop was victorious as racing got underway at this year’s Southern 100 last night, the Ballymoney man taking a commanding win in the Corlett’s Trophies 600/1000cc outing. Riding his Hawk BMW S1000RR, Dunlop dragged out a 12 second gap on his nearest rival Ivan Lintin to take the flag with a best lap time of 2:16.111. The race had initially been red flagged when Silicone Engineering Kawasaki’s Dean Harrison crashed out unhurt. Dan Kneen marked his comeback from injury with a return to the podium for Mar-Train Yamaha in third, ahead of Jamie Coward and Dan Hegarty. Alan Bonner rounded out the top six, ahead of Ryan Kneen and Davy Morgan. Mark Parrett and James Cowton completed the top ten. The second race of the evening saw Darryl Tweed take victory in the 125/400cc class ahead of Dan Sayle on the 250cc Honda Moto3 machine. Adrian Kershaw joined them on the podium. Racing continues this evening with the Senior outing followed by the 650cc twins and Supersport races , with the remaining races, including the Island Aggregates Superbike race taking place on Thursday.